The Disgaea game for smartphones developed by Nippon Ichi Software and ForwardWorks is officially titled Disgaea RPG, the companies announced. Pre-registration is now available at the game’s official website. If 20,000 people pre-register, pre-registered players will be rewarded the “Fallen Angel Flonne (Three Stars)” as a present when the game launches. 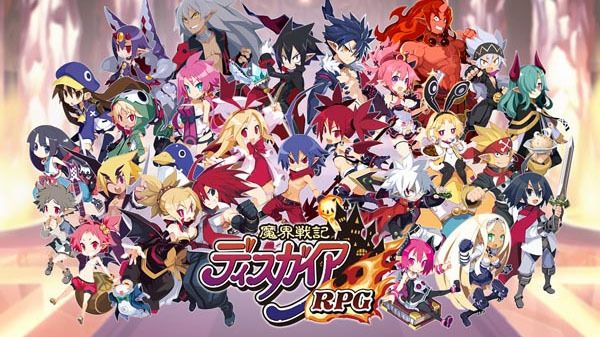 The Protagonists and Heroines of the Series Appear En Masse – The protagonists and heroines of the Disgaea series all appear together in one game in an original story about becoming the “Ultimate Overlord.” The whimsical and exciting activities of the Takehito Harada-designed characters will unfold in the Netherworld, where the values of good and evil are reversed. The sounds of Tenpei Sato will further enliven the game world. A Command-Based Battle System – The battle system of Disgaea RPG is a command-based battle system optimized for smartphones. From cooperative attacks with party members to stacking tower attacks, Disgaea RPG offers strategic battles. You can even play while on the go or in short bursts! There is also an auto-play function that runs at maximum four-times normal speed, allowing you to play anywhere, anytime. Level 9,999 and Billions of Damage – Level-up your characters to a maximum level of 9,999. And by learning skills and magic, you can even deal damage in the billions. Strengthen Your Favorite Characters – Disgaea RPG offers various content unique to Disgaea through which you can gradually strengthen your favorite characters, such as the “Dark Assembly” (unlock new content), the “Item World” (upgrade weapons), and the “Overlord’s Tower” (battle your way up a tall tower). A release date for Disgaea RPG has yet to be announced. When it launches, it will be free-to-play with in-app micro-transactions. Watch the pre-registration trailer below.